Thanks to the socially demanding festive season, even the staunchest of wardrobe recycler and outfit repeater will be left with no options besides indulging in some much needed retail therapy. While most of us do not need a reason to shop, the current festive season, paired with Great Online Shopping Festival, #GOSF (10th- 12th December), this is the perfect time, plus opportunity, to treat yourself (and your loved ones) with those coveted pieces you have been lusting after forever. In my constant search for discovering new and fashionably flexible pieces to shop, FabAlley’s latest range caught my attention. From on-trend to classic pieces, they always have a wide variety of products to choose. However, what I have always liked about FabAlley, and one of the major reasons I keep going back to it, is, their reasonable price points. 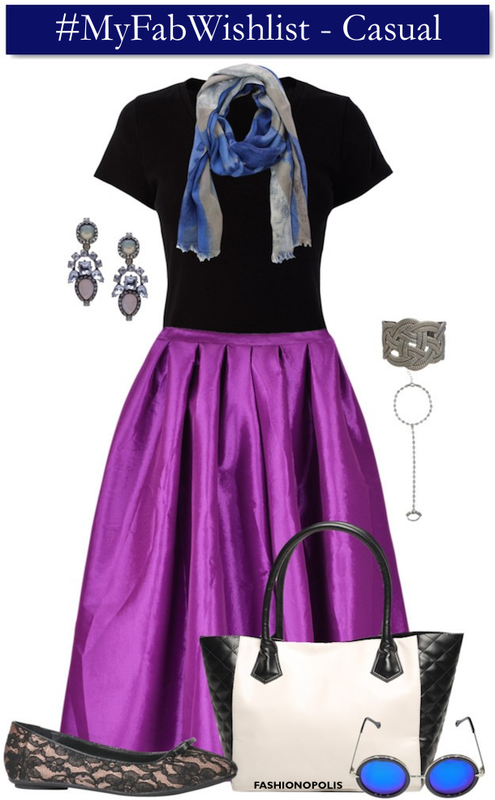 With a few of my fave FabAlley pieces I and created four #MyFabWishlist looks. Ever since Beyonce sang to the world, “I woke up like this”, I have been hunting for any merchandise that has these empowering words on them. My hunt ended when I found this I Woke Up Like This Tee on FabAlley. For a polished, neat and classy everyday look, pair the tee with a pair of well-fitted pants. Since winter and tartan go hand-in-hand, layer it with a tartan shirt. Thrown on pair of ankle boots, metallic tote and statement sunnies and you are good-to-go. 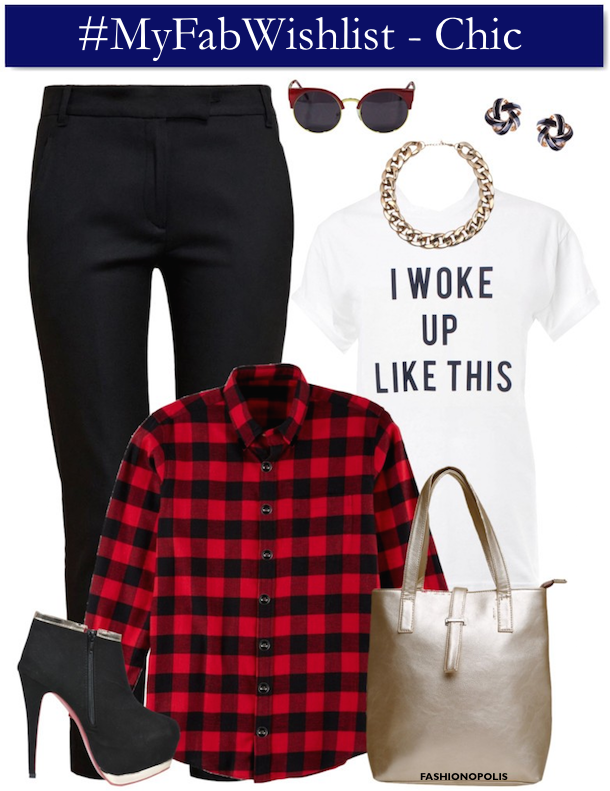 From meeting to lunch dates, this look is ideal for just about any day of the week. In a mood for a statement-making, fashion forward look? 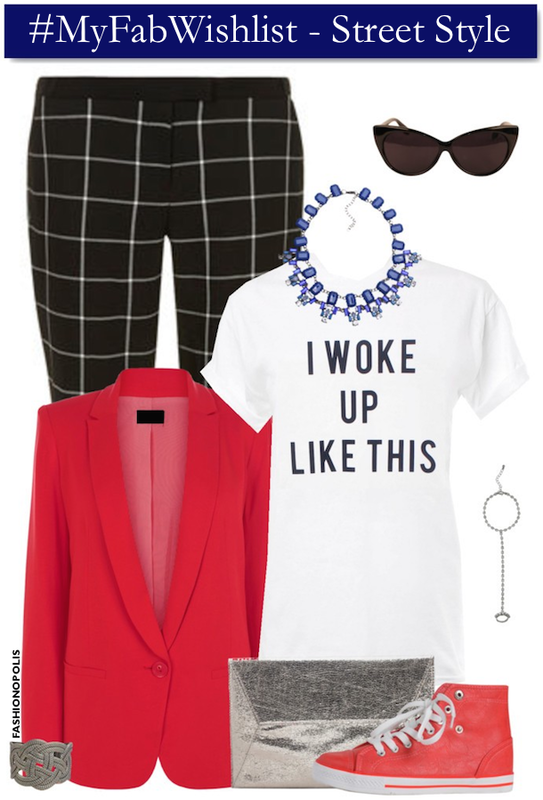 Try pairing the tee with wide grid print pants, bright colour blazer and hi-top sneakers. Up the style quotient by adding a few eye-catching baubles and be ready to be stalked by all your favourite street style photographers. I am big on repeating my outfits. Hey, when Kate Middleton sees no shame in doing it, why not all of us. Right? With just a few add-on and changes, you can easily create two different looks from the very same outfit. A basic top and midi skirt is prefect for pretty much anything. Add a scarf, a classic tote, crystal earrings and ballet flats and you are all set for a hectic day of running errands all day or a laid back afternoon catching up with the girls. 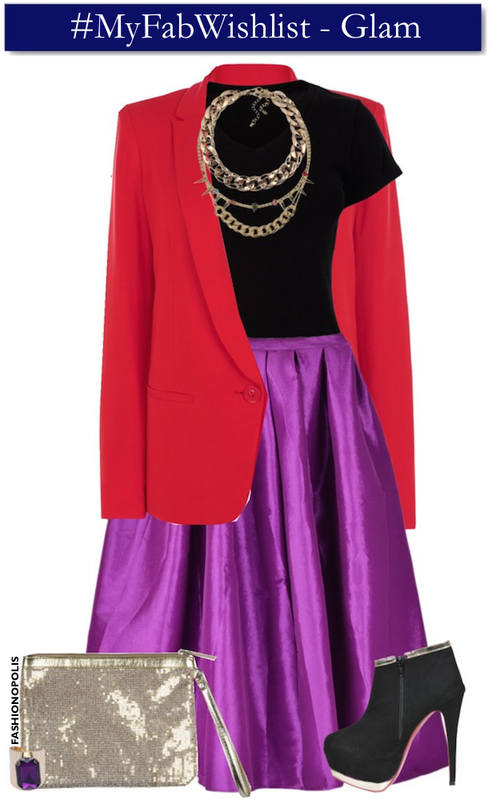 For a Christmas/NYE party or date night all you need to do is, up your glam quotient by adding a contrasting colour blazer and a few chunky necklaces and you are all set for a stylish night out. Now that you know what is on #MyFabWishlist, do share with me what all FabAlley beauties would you like to fill up your closets with. With festive season in full swing, this seems about the right time to treat yourself to your dream closet. Love the first look, I can literally see myself wearing it! Nice dresses Indian fashion is changing day by day and i love that. faballey have best collection for women shopping... shame thing with fabsdeal(www.fabsdeal.com) buy online lingerie, leggings, camisole and more products from top brands at best deals .